My go-to Ergon riding pack for 10 years was getting old. Broken zipper pulls and a few other issues so I started looking around for a replacement. Osprey packs are ubiquitous and I have a great winter backcountry pack from Osprey that has felt right on me since the first day I put it on. So, I checked out the Osprey packs first. Osprey really seems to sweat the details and you get the feeling that their designers are passionate riders who care about how other riders use their packs. I’m one of those guys who seems to be the ‘rescue’ rider in the group. Not because I have any training or skills but just because I don’t leave anyone behind. I’ve fixed chains and flats for strangers. I’ve bailed out bonking noobs with food. On any but the shortest ride I have 2 tubes and a first aid kit. I wanted a pack big enough for extras and also capable of holding the removable chinguard from my Bell helmet. The Raptor 14 is big enough for all this, plus it compresses down for smaller loads. Zippered pockets on the belt that are ideal for Clif bars and other snacks. Integrated tool roll on the bottom gives easy access to your tools and holds them tight so they aren’t clanking around on a ride. Magnetic attachment for the hydration tube to secure it to your pack. This works great every time and keeps the tube from dangling. Small outer zippered pocket that is ideal for wallet and phone. And has a clip for keys. Even the little clip has a protrusion on it making it easier to open. Hydration bladder closure. I thought this would be more clumsy than the Camelbak screw-cap closure but the sliding feature is super-repeatable and easy to use. No more leaks like I would get about 1 out of 10 times with the Camelbak. Plus, it’s easier to get excess air out of the bladder before sealing than with the screw cap Camelbak uses. Helmet attachment gizmo that can be used to secure my chinguard. When I talk about the details one small but impressive one is the clip that secures the zipper for the tool roll. This one ensures that the zipper can’t come open while riding which could leave your tools spread out over your favorite trail. 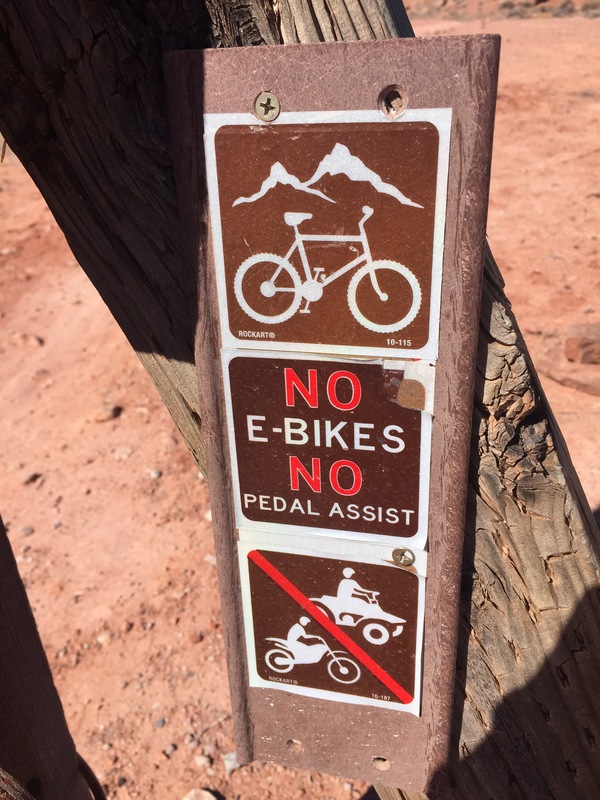 I’ve just left a month of riding Moab behind with 20 rides while I was there. In that time, I haven’t encountered a single negative to the pack. I’ll do a follow-up review in 6 months or so. If you have an Osprey let me know what you think.